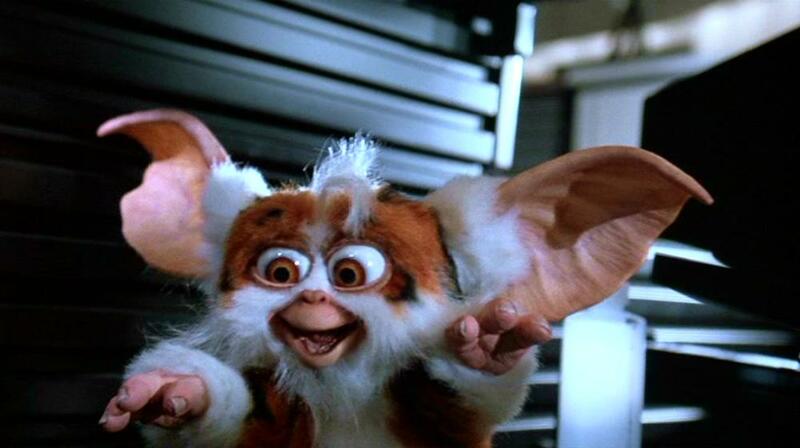 A set of production made Daffy eyes from Joe Dante's 1990 comedic horror sequel Gremlins 2: The New Batch. 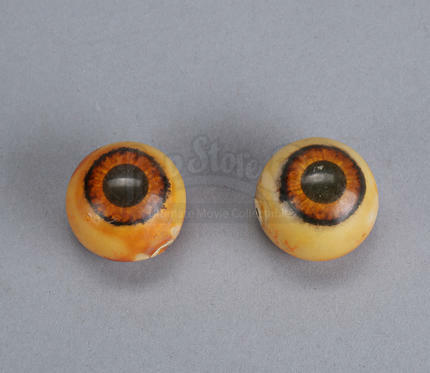 These eyes are extra pieces left over from the production of the film. Created by Rick Baker's team at Cinovation, these eyes have been cast from resin and have been painted to detail the iris and pupil. 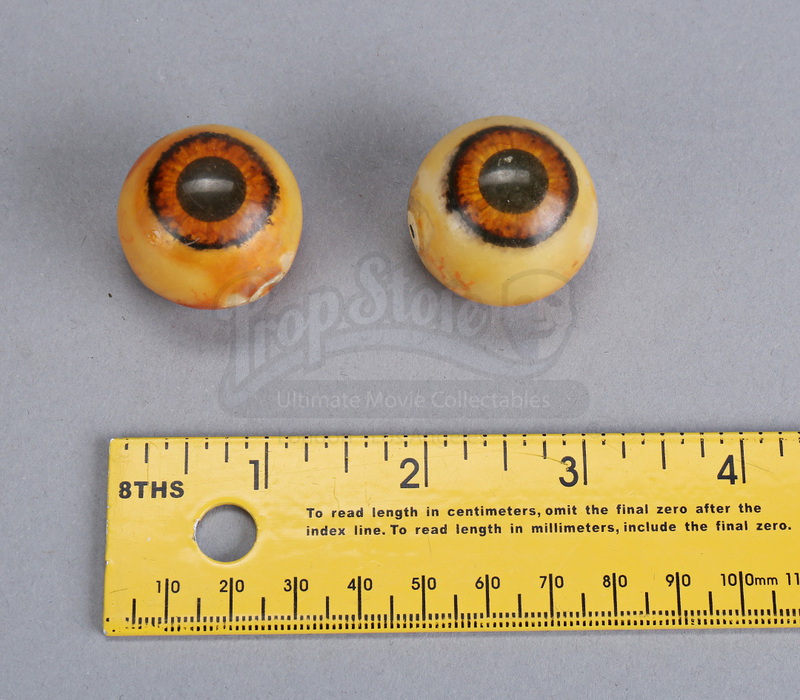 Each eye is also detailed with veins and include tiny holes running from the left to right sides, allowing for the eyes realistically move about once attached to the puppets themselves. Both eyes show slight wear and signs of discoloration from age, but both remain in good overall condition.